The keys were lost, so we were asked to try to open it without damage. The lock looked easy enough.. Still, we could not open it fully. In the end, Jos took it home to look at it a bit further and in the end he was able to open it. We had not expected a three lever lock when we started. 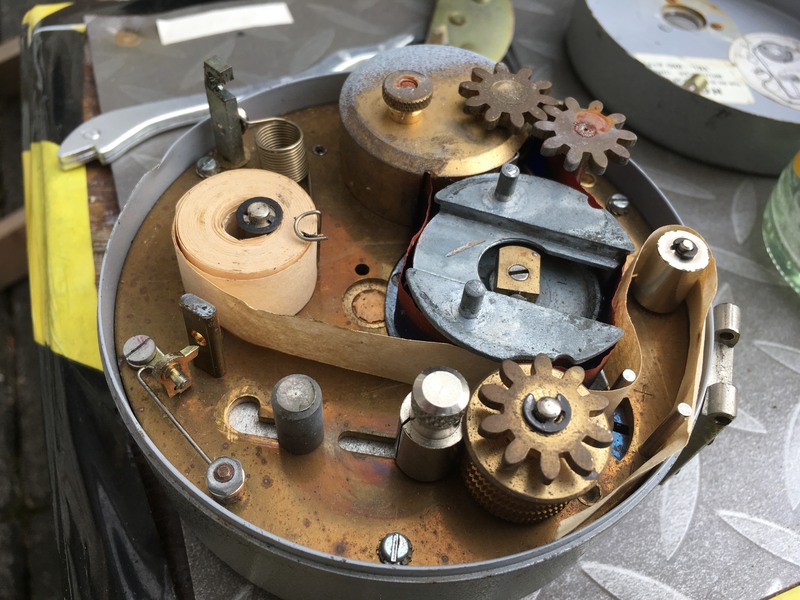 Finally, we had a nice view of the insides, where you can see the mechanism to transport a paper tape and an ink ribbon. At LockCon, we had some guests who were shooting footage for the BBC. They followed a few British lockpickers, including Nigel and made an item for the One Show. It aired last week and you can view it below. At LockCon 2017 (so last year), the good people from FIOPS were present. FIOPS is an internationalorganization founded to create a platform for forensic specialists in the field of physical security. This is an interesting field, that also interests many of the attendees at LockCon. 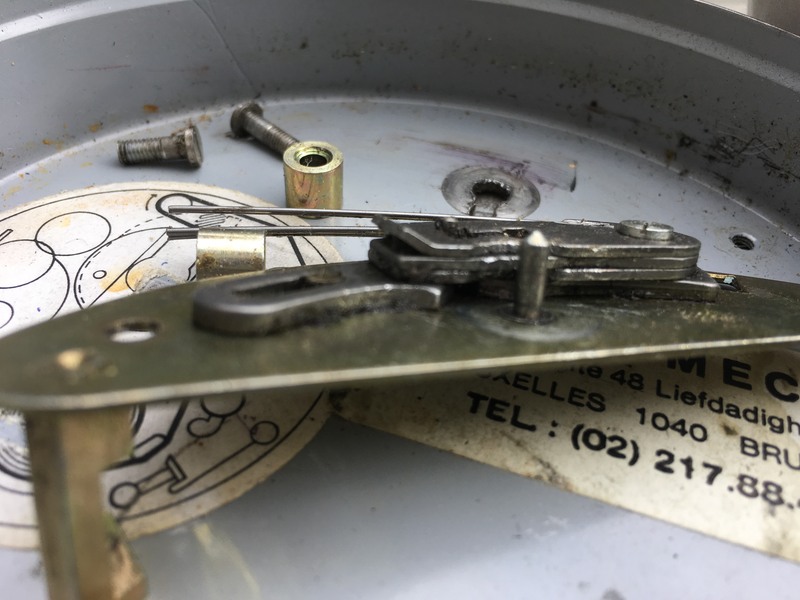 By looking at traces left inside a lock, it is possible to tell a lot, e.g. if it was just opened with a key, or if also picking tools were inserted. It is possible to differentiate between standard pick tools, pick guns, bump keys etc. because all leave different traces that can be seen by disassembling the lock and having a close look with a microscope. 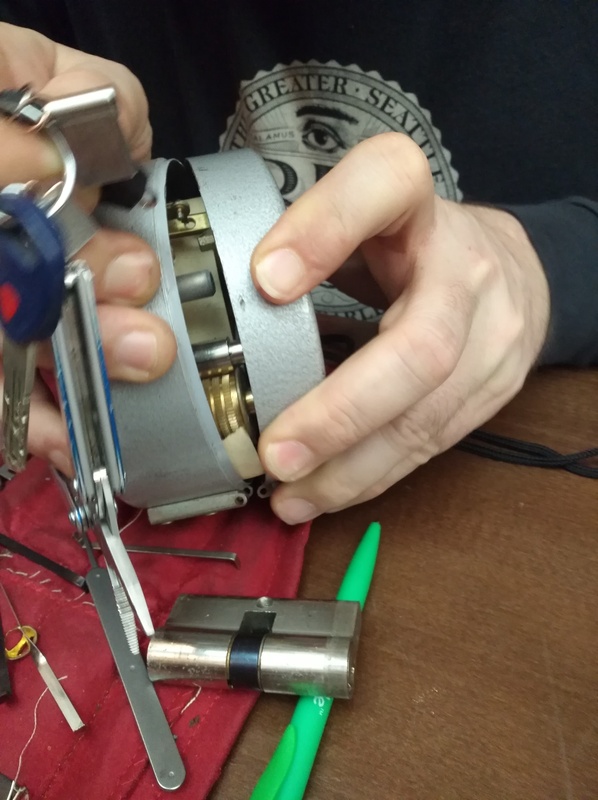 The folks from FIOPS asked our help to provide real traces in locks, to help build a library of locks opened with different (but known) techniques. For this reason, they installed a real door in which cylinders were placed to be opened, every time a new one. Recordings were made of the opening. I was one of the people opening one of the locks (lock 24), and my method was picking. Since members of Toool never pick locks in doors as it does not make sense but makes it harder, I expected to need quite a lot of time. Imagine my surprise when I opened in 20 seconds, even if I had never picked the lock before! Toool NL has biweekly meetings in Amsterdam and Eindhoven. During those, people will discuss locks, pick them and socialize. The next video gives a glimpse of such a meeting. Jos had just brought some locks over and is showing the sliding seal lock on camera. After winning the lockpicking competition in 2014, the folks of Toool US were kind enough to sponsor a plane ticket to the event in de USA in 2015. Since I couldn’t use it, they said they would get me something else instead. That finally arrived in the form of a small suitcase labeled “Thank you for LockCon 2016”. Jos got a similar case. Thanks guys! In it is a collection of Chinese locks. The first one (marked AFA) has two rows of dimples, 10 in total, and a wavy line. The lock is typical Chinese in that it comes with two keys that are used during construction, and several (in this case 5) user keys that are seperetely packaged. A special programming key is used to disable the construction keys and enable the user keys. The second one does not seem to be reprogrammable. It comes with six keys and it is one of these Chinese locks that has a free spinning plug. The key connects the two parts of the plug, allowing the lock to operate. The next lock is a padlock with a ‘smiley’ key profile. There are pins on both sides. The next lock is a cilinder that again has two construction keys and a closed box that holds the (six) user keys. There is no reprogramming key: any user key will do. The construction keys have a slit at the end of the key, the user keys do not. This cilinder has a quite nice looking anti-breaking element, as has the free spinning lock. On the key we read “safety is derived from technology, Kailusidun”. The last lock is a padlock made by Zhongxin. The key has two rods and the lock has two holes. The key does not rotate, it needs to be inserted after which a button on the lock can be pushed to unlock it. Removing the key locks the lock again. Cutaway locks are a nice way to understand the inner working of a lock. Many lock companies make factory cutaways of their models, but they can be hard to get. There are also companies making (pad)locks out of plastic to show the inner workings. And then there are locks made into cutaways by lock lovers. Many exist, but the locks created by ‘Lock Cracker’ are in a separate class. Using a CNC milling machine he is able to cut away lots of material so you can see how the pins move, but also how the actual locking mechanism works. The most interesting are high security locks that have special features, such as the Ross Emhart lock that has interconnecting pins. Or his newest creation, the Mul-T-Lock MT5+. 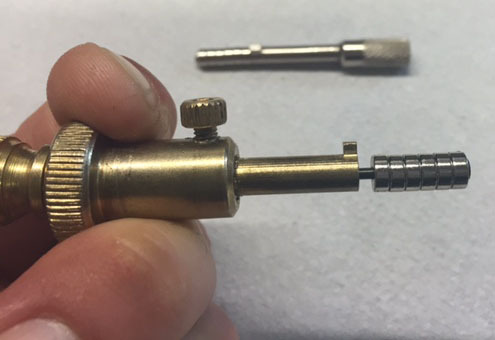 This lock uses pins within pins. The outer pins have been individually cut to show the inner pin within. Truly a masterpiece. More pictures can be found in this gallery. Contact him at l0ckcr4ck3r@gmail.com. Note that we as Toool have no affiliation with Lock Cracker, we just admire his work and like to share it. After some researching on the internet, it turned out that these are meant to pick certain magnetic locks that are manufactured in China. Outside of China, you will likely not come across these locks. 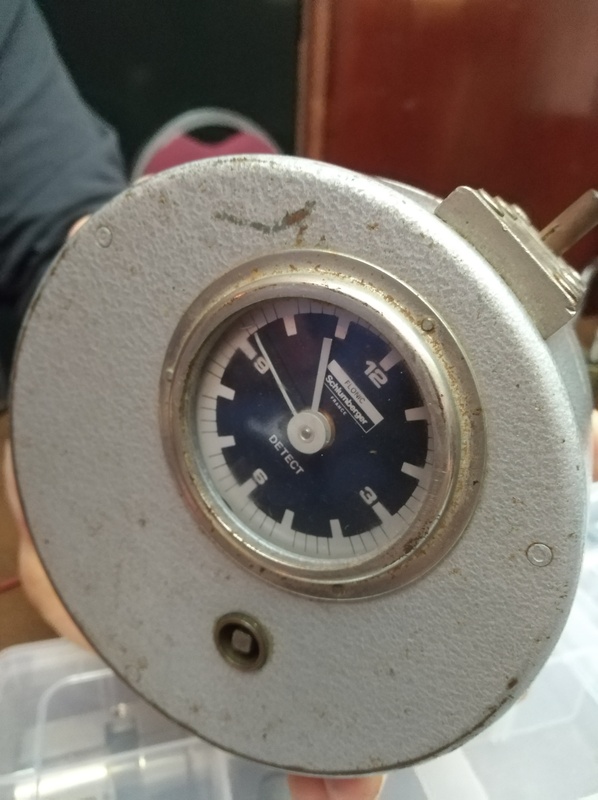 The silver coloured piece can only turn, the brass piece has a push knob at the end. 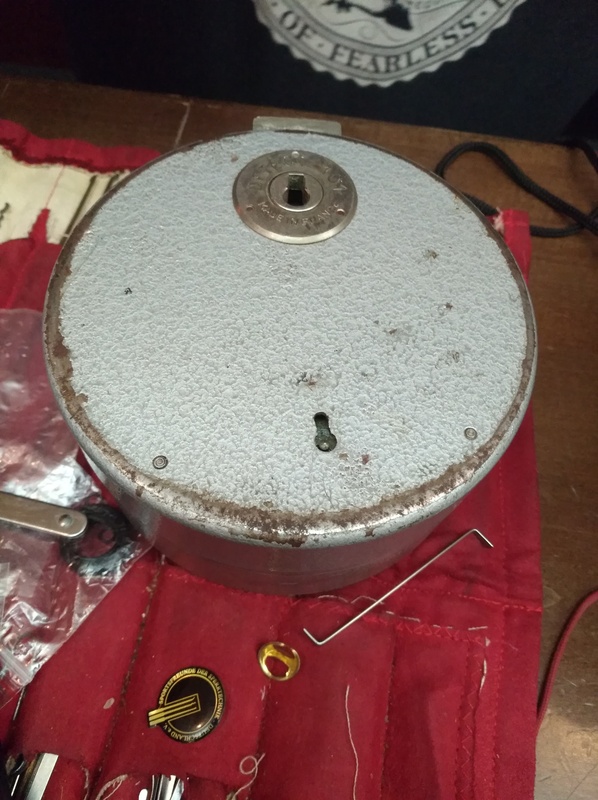 After some googling, Marcel found a YouTube video explaining the lock (not the tool), made by Lockman28, to be found at https://www.youtube.com/watch?v=8ZNUgsplYk4. 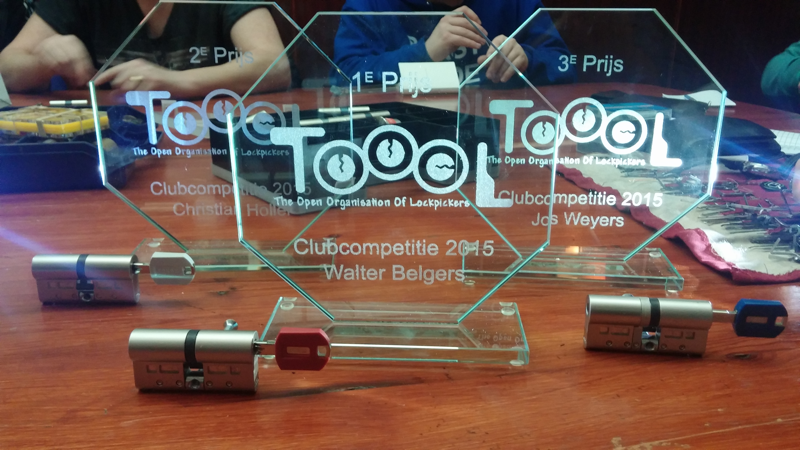 For over 10 years, we have held yearly club competitions at Toool. We collect some 25 locks and allow all Toool members to have a go at them. At a normal competition, you get a lock you have never picked before and only one chance. 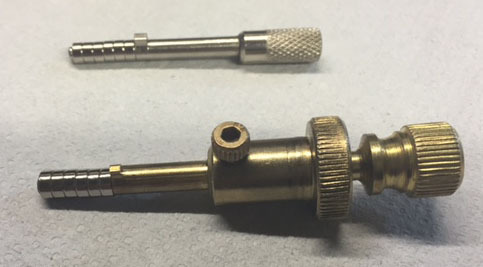 In this club competition, you can really try to learn how the locks reacts, how different tools and techniques produce different results and you can have a go at really difficult locks. At the end of the competition, there are prizes awarded for three lockpickers who opened the most locks in the least amount of time. The 2015 competition ended a few months ago and we finally handed out the prizes to the winners. The prizes are a plaque and a Tokoz PRO 300 cilinder, kindly sponsored by Tokoz. The winner is Walter Belgers, second place is for Christian Holler and Jos Weyers came in third. We are already hard at work with the 2016 competition. I had ordered a cheap transparant padlock out of China. Although it is a six pin lock, I could pick it touching only two of the six pins. I took a look at it and it’s interesting to see how costs were cut (the lock costs about $3 in bulk). Material has been drilled from the plug to save material. Also, the top and bottom pins are the same pins. This influences the security of the lock. If the pin is stack is not neatly at the sheer line, it will still open as the tipped pin will wiggle itself into the correct position. This is why picking one third of the pins suffices in this case. I then looked at some euro cilinders in the same price range. It turns out that effectively, they have only one pin that needs to be set. You can use a random key to wiggle the lock open. Even more shocking is the fact that some people will actually put such a lock on their front door. Entries (RSS) and Comments (RSS). 45 queries. 0.345 seconds.